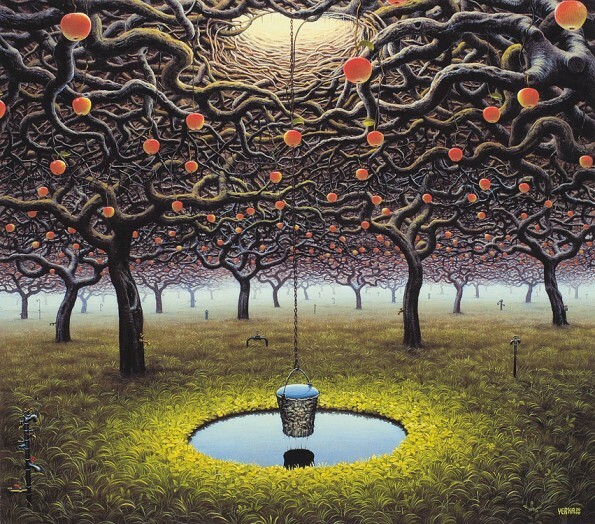 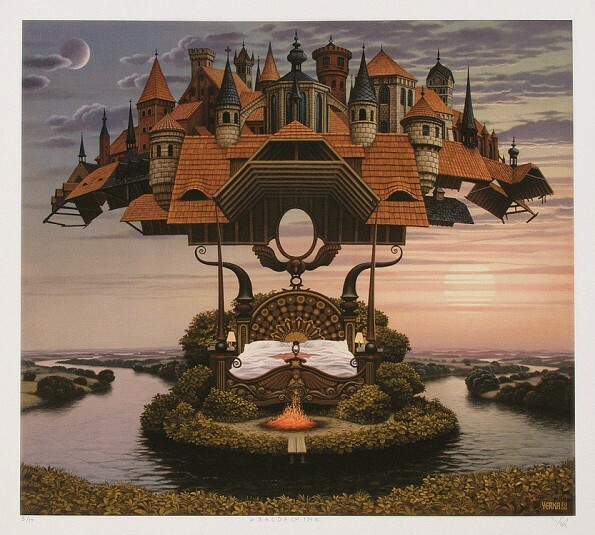 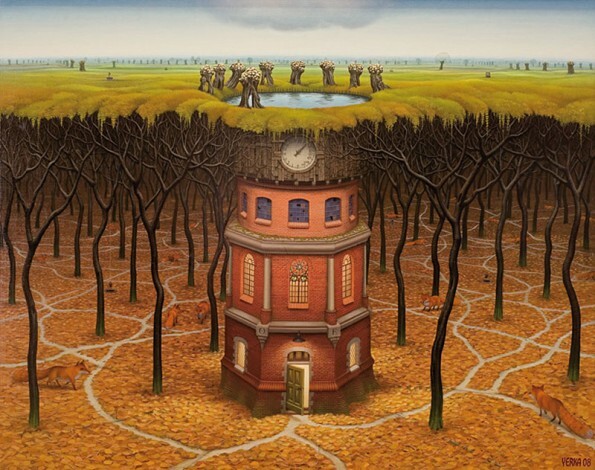 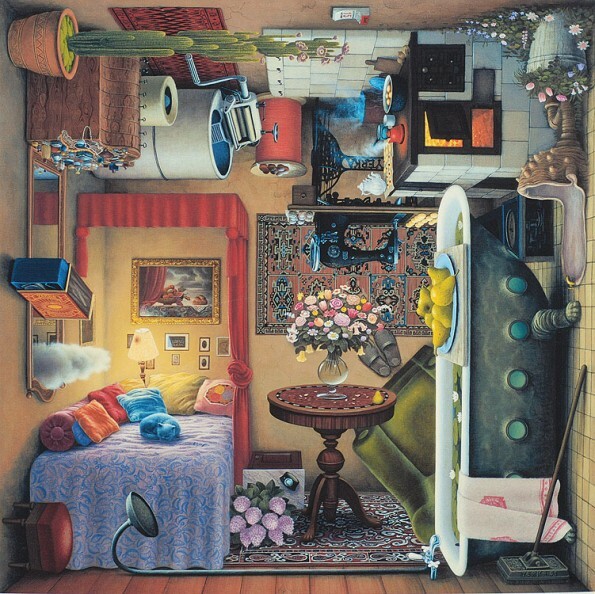 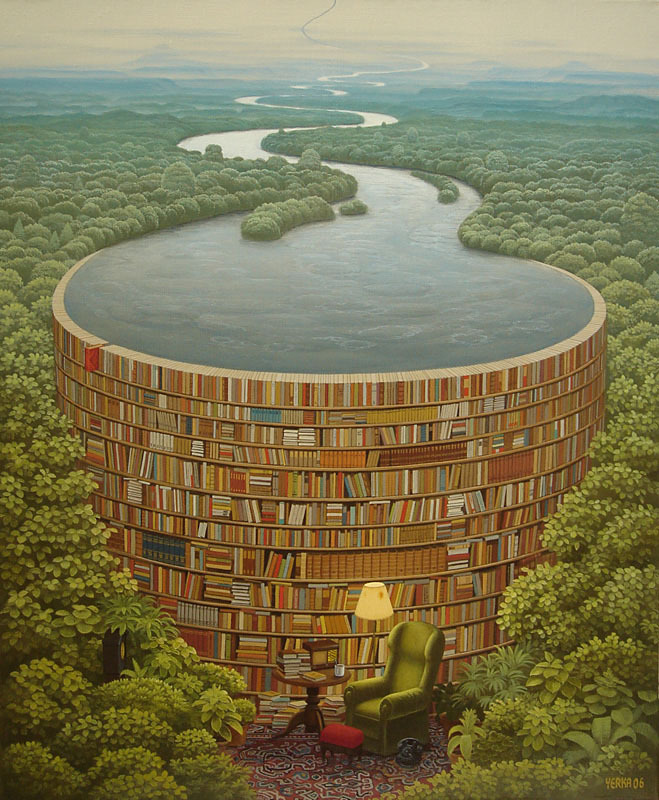 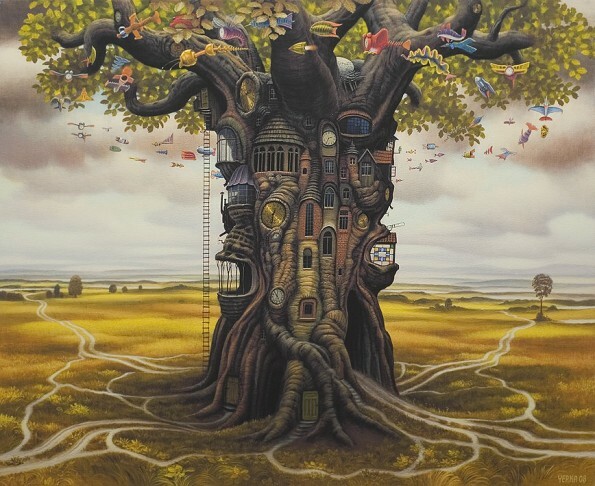 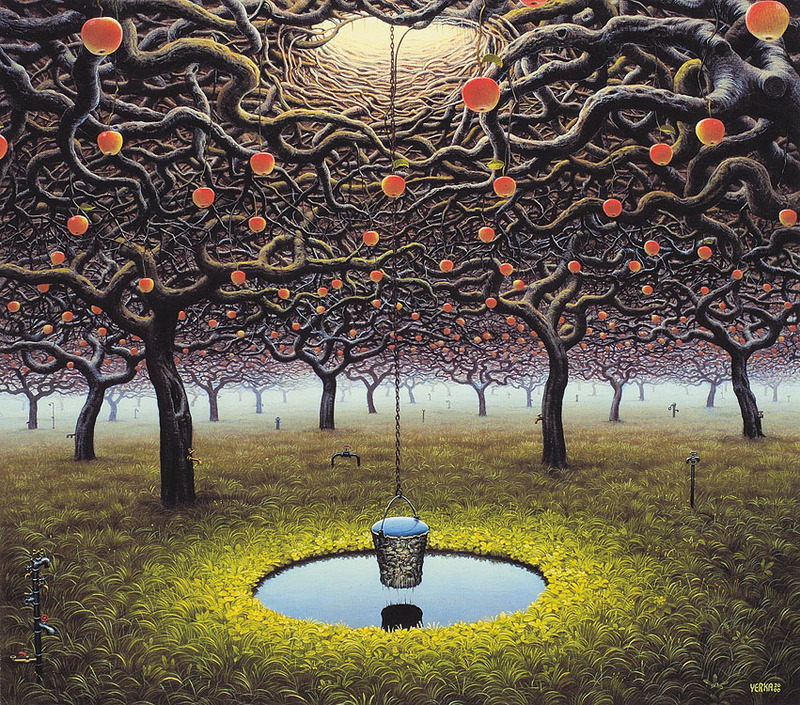 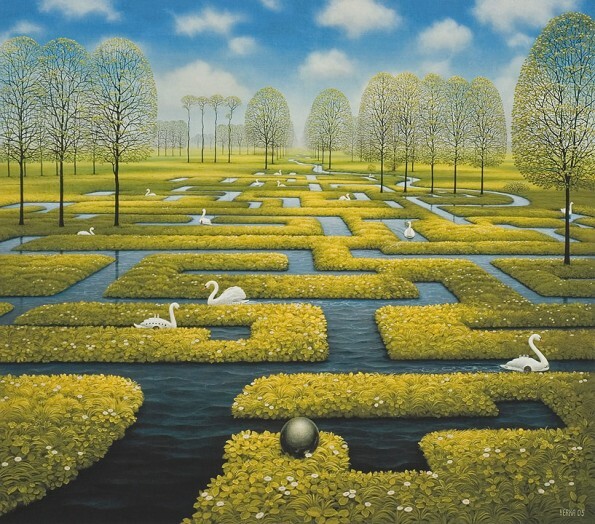 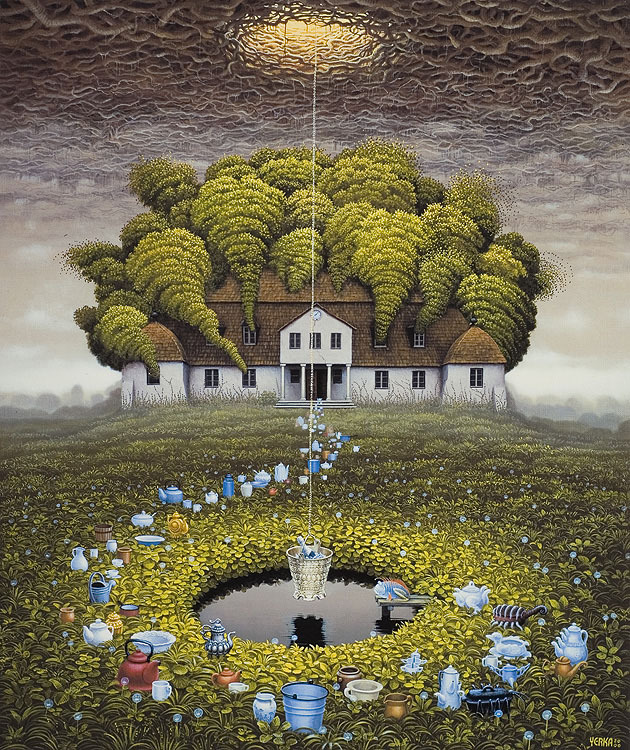 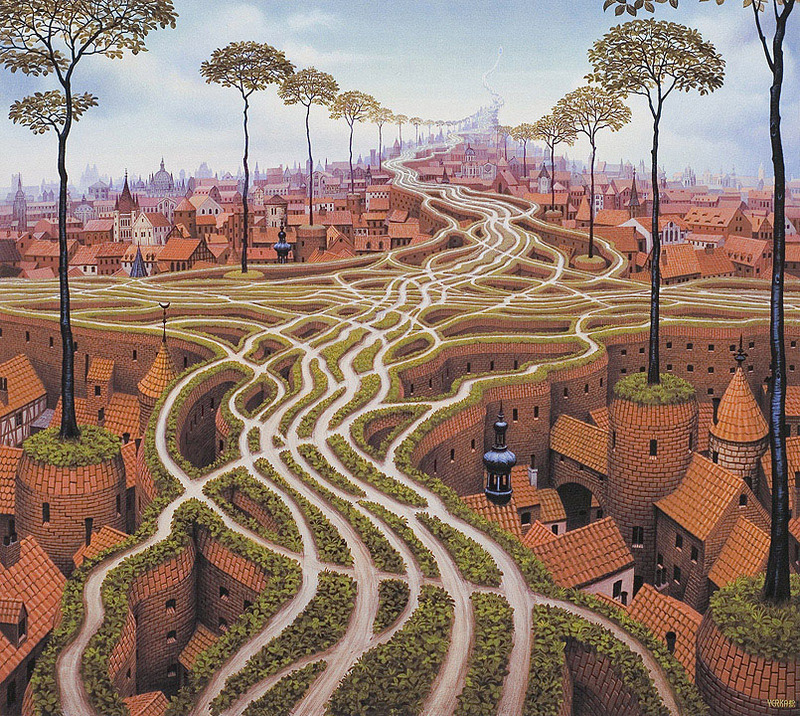 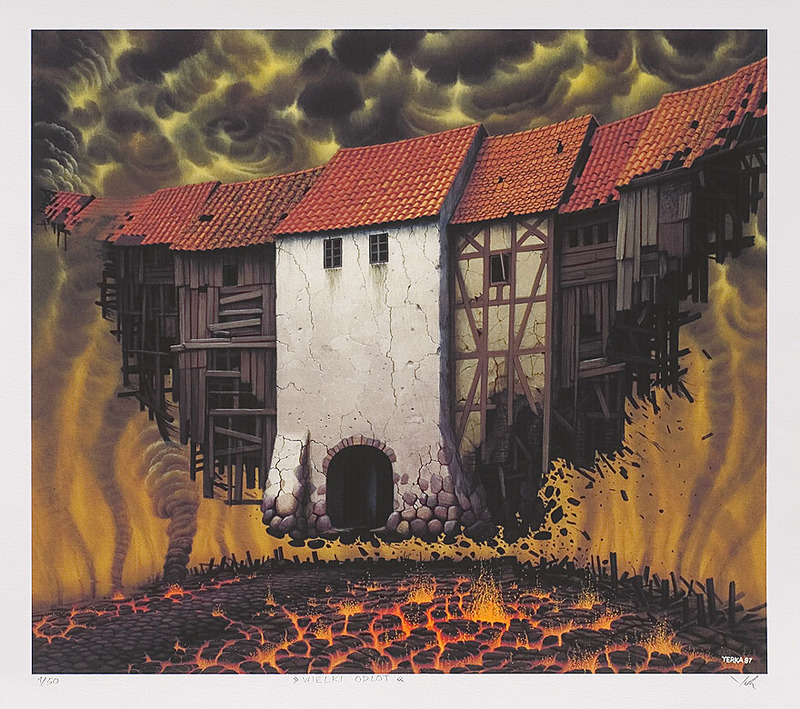 Born in Toruń, Poland, Jacek Yerka graduated from the Faculty of Fine Arts at Nicolaus Copernicus University, specializing in printmaking. He began working full time as an artist in 1980. Yerka cites the master painters of the 15th and 16th centuries, Hieronymus Bosch, Pieter Bruegel, Cagliostro, Jan van Eyck, and Hugo van der Goes, as powerful early influences. The meticulous classic Flemish technique still characterizes his work. 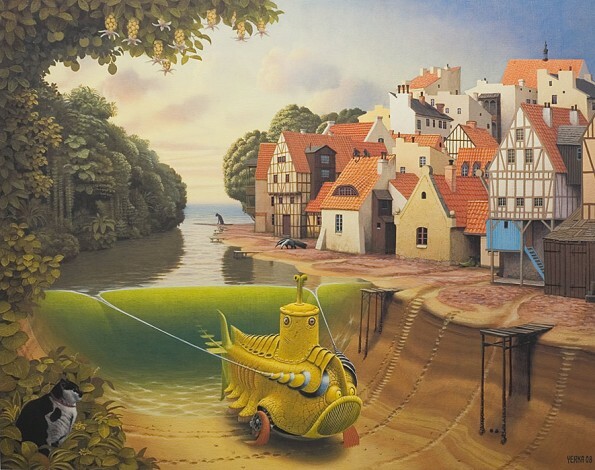 Odd beasts and whimsical landscapes incorporating extraordinary architecture populate his surreal compositions, inspired by imagery from his childhood. “For me, the 1950s were a kind of Golden Age … If I were, for instance, to paint a computer, it would definitely have a pre-war aesthetic to it.” His work has been exhibited in Poland, Germany, Monaco, France, and the United States, and may be found in museums in Poland. 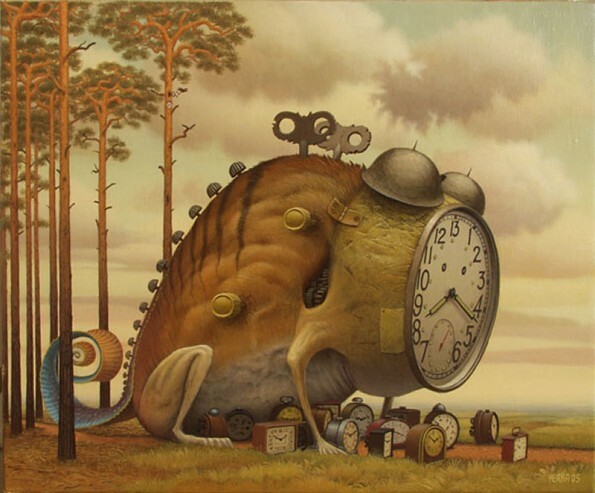 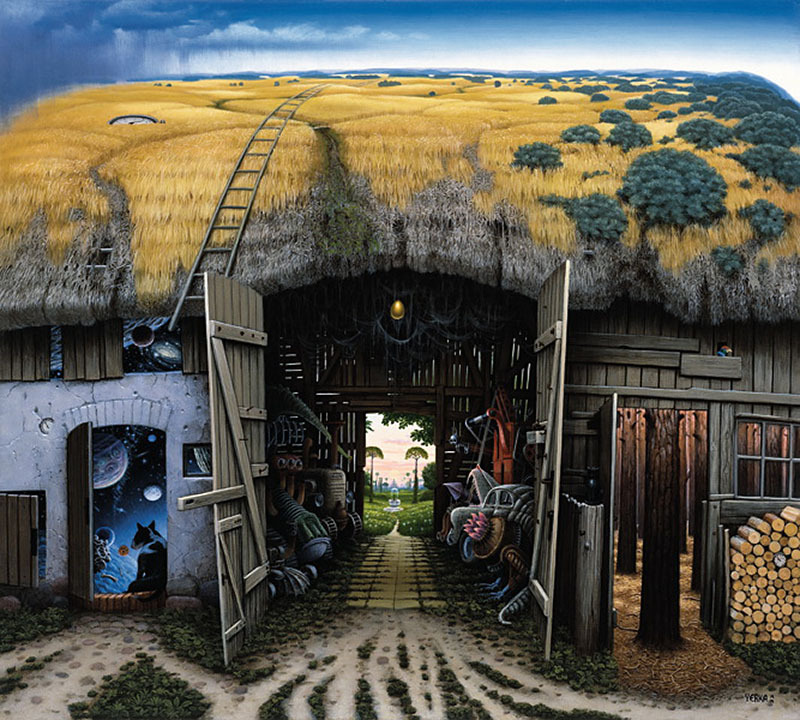 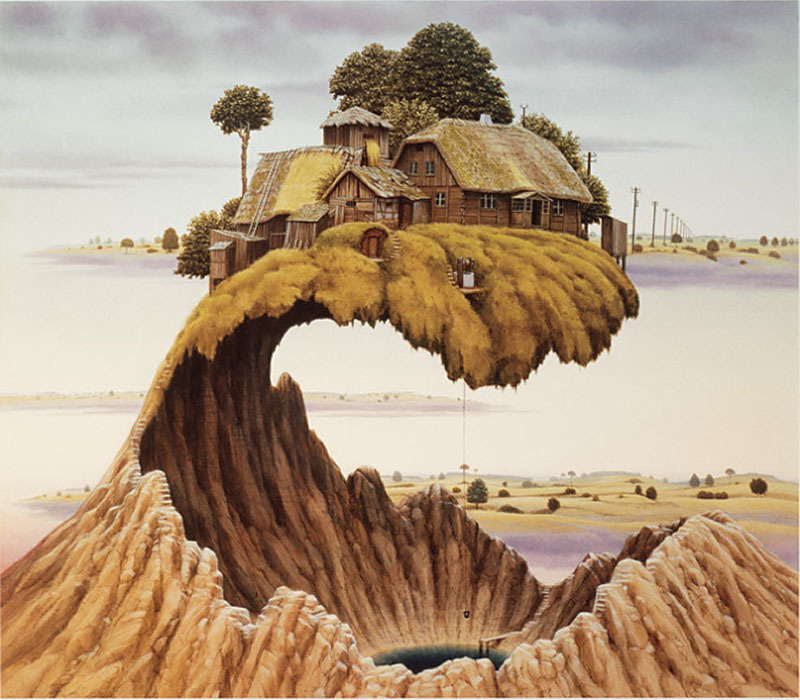 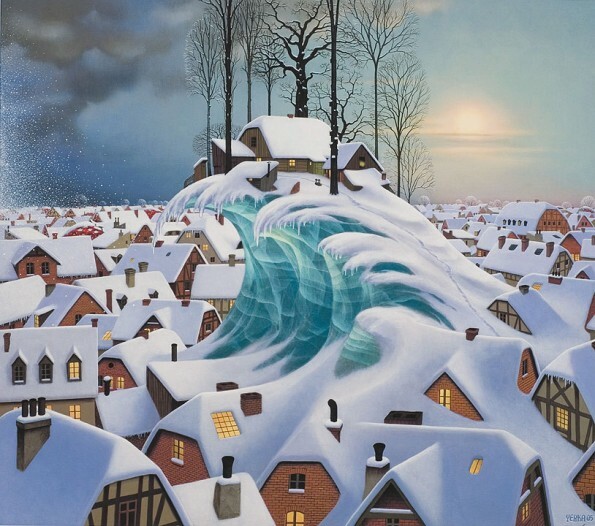 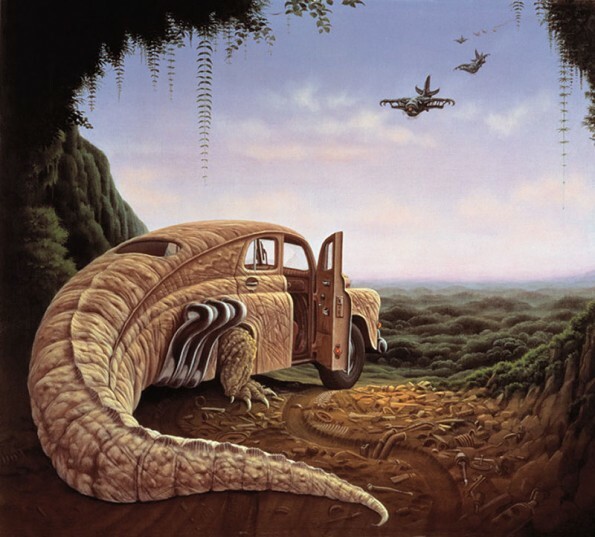 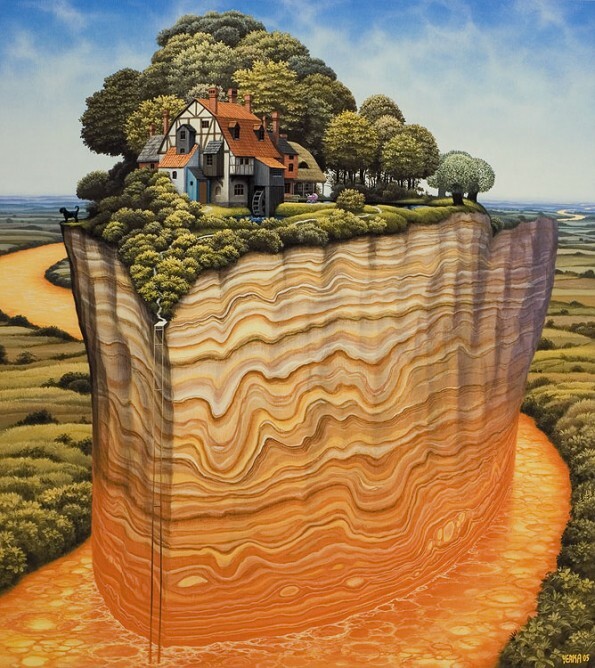 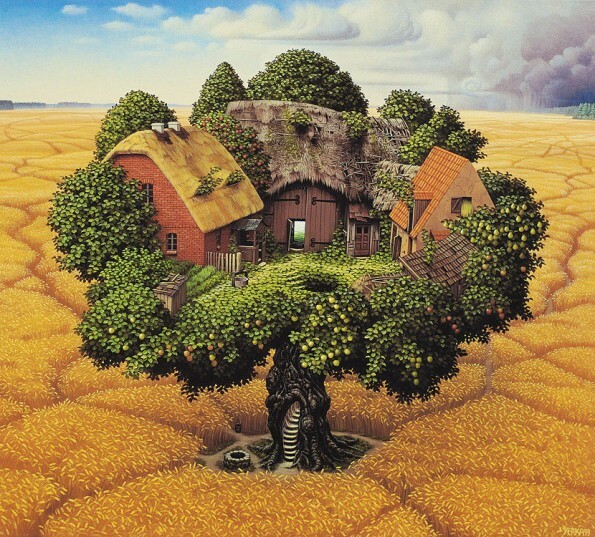 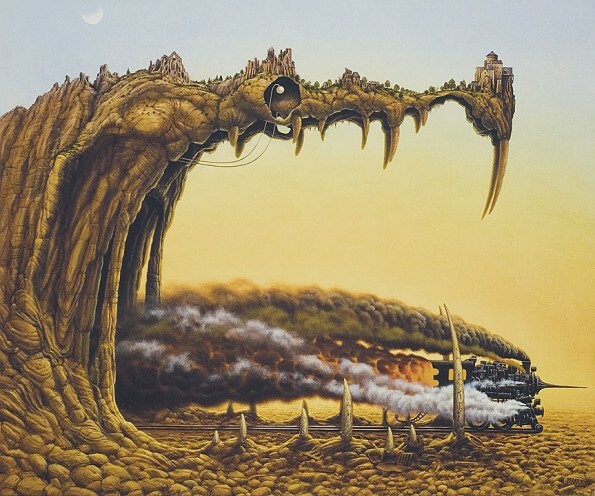 In 1995, the artist was awarded the prestigious “World Fantasy Award for the Best Artist.” Browse through almost 200 images of Yerka’s work on his website, where you can also order a Giclée. 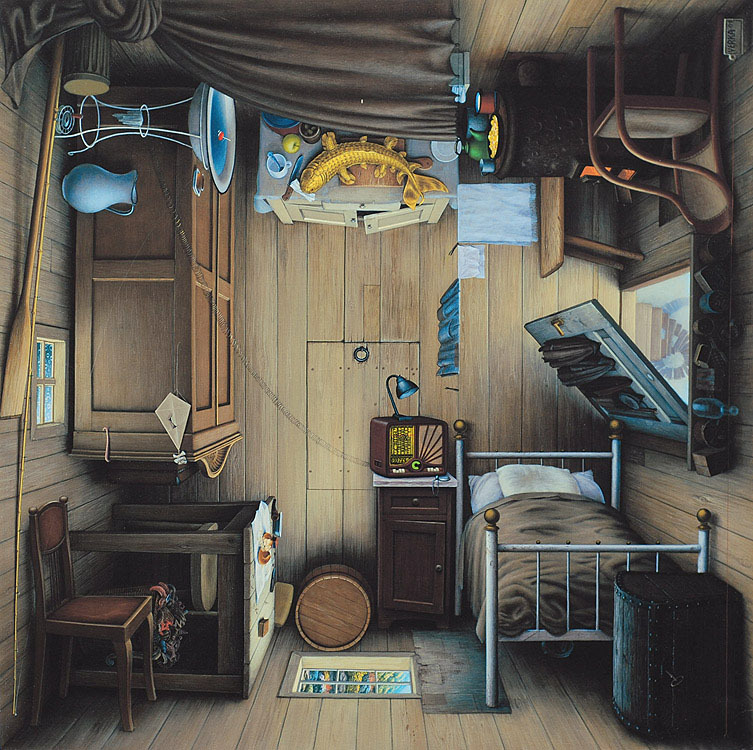 Pintores assim que queriamos ainda até hoje! !